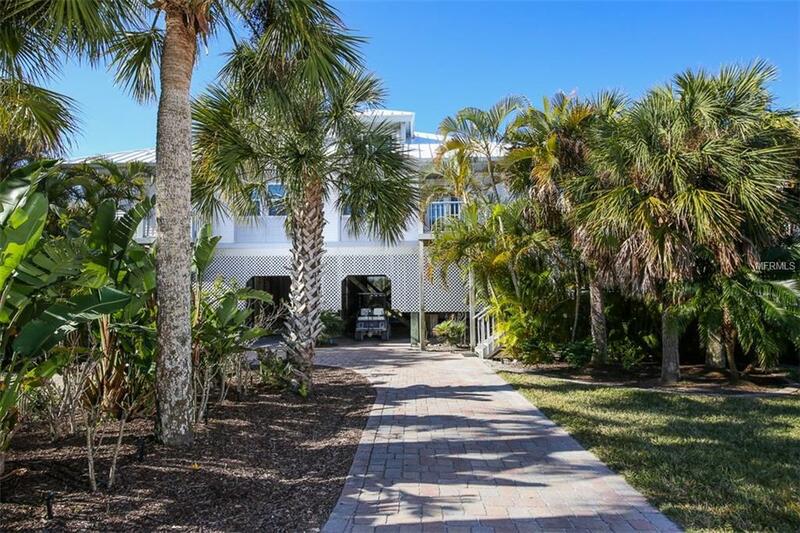 Enjoy the captivating view of the Gulf of Mexico from your screened lanai or loft deck in this 3 bedroom, 3 bath w/den Duplex home on Palm Island. This immaculate home has been furnished like a decorator's dream. The kitchen has been updated with Corian counter tops, tile flooring, updated cabinets and stainless steel appliances. Exterior improvements are new impact resistant windows, new roof, pavers, shell under cottage and golf cart storage. Ready for immediate occupancy. The popularity of Palm Island is largely due to being a family oriented Resort with sandy beaches and lush landscaped grounds that encompass it's many amenities. Sale includes new golf cart and 5 bicycles. Walk along the miles of sandy beaches or lounge by the community pool soaking up the Florida sun.